Victor H. Neufeld: teacher, pastor, administrator; born 28 December 1935 in Herbert, Saskatchewan, Canada to Heinrich H. Neufeld (23 June 1895-9 December 1962) and Lydia (Hiebert) Neufeld (20 July 1902-14 July 1977). Victor was the sixth of 11 children, of whom the oldest son and daughter were born to the first union of his father to Tina Andreas (7 December 1898-21 August 1928). On 15 August 1964 Victor married Linda Eck in the Enid Mennonite Brethren Church in Enid, Oklahoma, USA. Linda was the daughter of Roy Eck (2 December 1909-31 July 1999) and Gustena (Penner) Eck (5 February 1912-13 November 2005.) Victor and Linda had two sons and one daughter: Mark, Wayne, and Carmen. Victor died on 4 June 2012 in Abbotsford, British Columbia, where he was buried on 11 June. Victor was a boy when the family left Saskatchewan and relocated to a farm in the Abbotsford area. Here he attended the Matsqui School and then the Mennonite Educational Institute (MEI). Following graduation, he took a year of Normal School and taught at Kispiox and Hazelton, British Columbia from 1956-1961. Having become a Christian at the age of seven, he was baptized and received into the Matsqui Mennonite Brethren Church on 14 September 1952. Victor felt called to the ministry at a young age. In 1961 he enrolled at the Mennonite Brethren Bible College (Winnipeg, Manitoba) graduating with a BRE two years later. The next year was spent at Tabor College (Hillsboro, Kansas) from which he received a BA in 1964. This was followed by a year at the University of Kansas, which awarded him an MA in History in 1967. Following several years of teaching, further studies at Bethel Seminary in St. Paul, Minnesota (1969-1971) led to an MRE in Christian Education. Neufeld was an instructor at the Mennonite Brethren Bible Institute (now Columbia Bible College) in Abbotsford from 1965-1969 and part-time instructor at Trinity Western College (now Trinity Western University) in Langley, British Columbia in 1965-1966. From 1969-1971 he taught part-time at Bethel College (St. Paul, Minnesota) Neufeld served as pastor of the Morden Mennonite Brethren Church (1971-1978) and then as president of Winkler Bible Institute in Manitoba (1978-1987). From 1987-1994 he was associate director of Mennonite Brethren Communications in Winnipeg, a media ministry of the Mennonite Brethren Church of Manitoba. He concluded his ministry in Manitoba with a number of interim pastorates. During his many years in Manitoba, Neufeld was deeply involved in the ministries of the Mennonite Brethren Conference. He served on the executive of the Mennonite Brethren Church of Manitoba from 1999-2002. In 2003 the Neufelds retired to Abbotsford, British Columbia. Victor Neufeld ministered well in a number of capacities and is remembered with gratitude as a thoughtful, solid, and measured leader. Lenzmann, Ed. "Neufeld, Victor H. (1935-2012)." Global Anabaptist Mennonite Encyclopedia Online. November 2013. Web. 23 Apr 2019. http://gameo.org/index.php?title=Neufeld,_Victor_H._(1935-2012)&oldid=123435. Lenzmann, Ed. (November 2013). 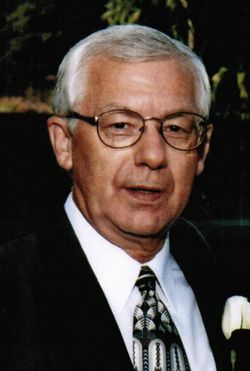 Neufeld, Victor H. (1935-2012). Global Anabaptist Mennonite Encyclopedia Online. Retrieved 23 April 2019, from http://gameo.org/index.php?title=Neufeld,_Victor_H._(1935-2012)&oldid=123435. This page was last modified on 5 July 2014, at 07:42.